Automotive Industry Logistics: Warehouse Fulfillment Done Right! Automotive Industry: Warehouse Fulfillment Done Right! Packaging, inventory management, order fulfillment, and logistics services power the Automotive Industry. In large part due to the current American political environment, there’s been a renewed focus on American manufacturing jobs. Trucking, logistics, and warehousing companies (like BR Williams) have been brought to the forefront of business conversations. 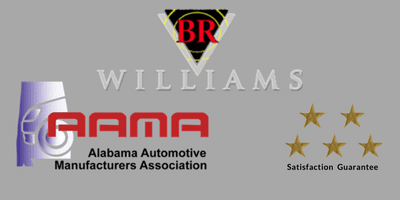 In the case of BR Williams, increased commerce near our Mobile and Piedmont, Alabama locations have generated new opportunities to work with national manufacturers looking to improve processes and increase efficiencies, especially in the automotive industry. BR Williams provides automotive logistics packing, kitting, sequencing, sorting, break bulk, inspection, and other services. 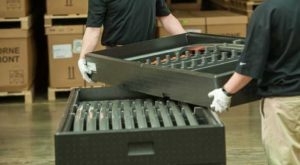 Automotive manufacturers are now using our Piedmont, AL location’s inventory management and warehouse fulfillment services to redesign workflows to avoid pricey in-house solutions that are difficult to manage due to lack of space, cost of labor, staffing, fleet size, and government regulations. The American Southeast has quickly become the new Detroit, as major automotive companies have invested in sizable factories and built a supporting cast of tier 1 and tier 2 suppliers. Volkswagen, Mercedes, Honda, Hyundai, Mazda, Toyota, and others operate plants in Alabama and elsewhere in the South, generating the need for professionally handled and managed product that can be not only pricey but fragile. BR Williams’ distribution facility in Piedmont is working with both tier 1 and tier 2 suppliers to provide large automotive companies the customized services (including packaging, handling, inventory management, warehousing, trucking, and logistics) that are quietly powering automotive supply chains across Alabama, Tennessee, Mississippi, and Georgia. 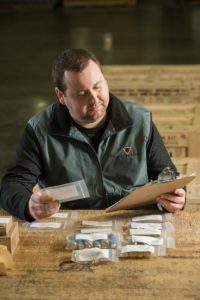 Rather than trying to manage fluctuating inventories in-house, tier 1 and tier 2 automotive suppliers work directly with us to manage the sequencing, kitting, sorting, warehousing, overflow, and tracking/reporting services required with our modern packaging solutions. Processes are designed to support the complex and fast moving cycle times inherent with serving the automotive industry. We even store and transport dry bulk plastic/polymer resin and other dry bulk chemicals. Automotive businesses relocating to the South/Southeast have experienced challenges anticipating the storage needs required to support demand. A secret to expanding and contracting resources for fluctuating demand is to work with outsourced distribution companies like BR Williams that can help make investing in “in-house” additional space and staff unnecessary and completely avoidable. 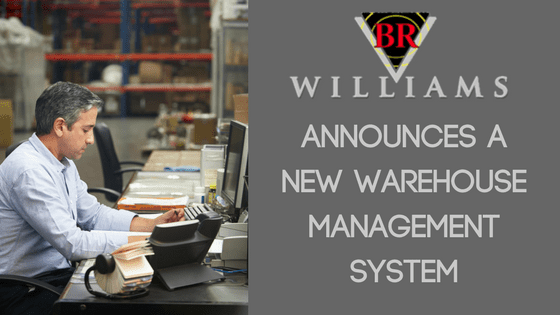 BR Williams performs automotive parts sorting, break bulk, and parts inspections. Additionally, when a manufacturer manages warehousing in-house, they must pay for 100% of the space they use as direct space, plus a portion of the indirect space costs, to arrive at their cost per square foot. It is often cost-prohibitive to invest in dedicated, owned storage facilities and to staff them for a variety of fluctuations in demand. 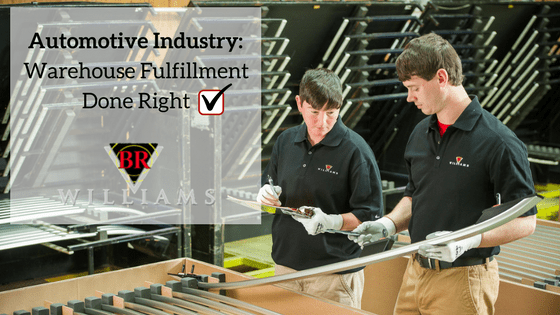 Savvy manufacturers and suppliers have learned that partnering with BR Williams for warehouse fulfillment allows them to pay for only the space and services they NEED. When dealing with an industry as big as the automotive industry, automated product management and warehouse fulfillment can make all the difference in the world. Understanding the most efficient way to stock work in process (WIP) and maintaining real-time access to key milestones in the delivery cycle time (unloaded, assembled, packaged, and ready to ship) helps the process move more quickly and reduces waste. For projects big and small, if you are a tier 1 or tier 2 automotive supplier or an automotive OEM looking for strategic logistic solutions, we can help. See our automotive logistics page or contact us today. To discuss your Automotive Logistics, Distribution, or Transportation Service options, please contact Matt Nelson at matt.nelson@brwilliams.com or (800)-523-7963. It often makes sense for growing businesses to consider outsourcing their warehousing and order fulfillment services. We discuss what to look for when it’s time!